PESHAWAR -- Co-ordinated efforts between Pakistan and Afghanistan to eradicate polio through synchronised immunisation campaigns on both sides of the border are raising hopes for an end to the debilitating disease globally. "Health teams of the two bordering countries have joined hands to fight against the common enemy: polio," Dr. Nadeem Jan, technical focal person for the Emergency Operation Centre (EOC) Tribal Districts, told Pakistan Forward August 2. Polio, once a worldwide scourge, is endemic in just three countries now --Afghanistan, Pakistan and Nigeria. "Pakistan and Afghanistan share a border and are declared as one bloc by the World Health Organisation (WHO)," he said. "Therefore, there is a need to stop [the spread of the] virus through the launch of synchronised efforts in the wake of border crossing by thousands every day." "The focus of this effort is to cover each and every child in the region," he said. Once an epicentre of polio virus in Pakistan, the former Federally Administered Tribal Areas (FATA) are now polio free with no new cases reported for the past two years. Medics recorded the last case of polio in the region July 27, 2016, Jan said. Even environmental samples taken from sewage in the region have come back negative for polio virus, "which is a very good sign regarding eradication of the disease from the tribal belt", he said. Pakistan and Afghanistan share a 2,600km-long border with regular, daily population movement, which increases the risk of spreading the virus. "In mid-2015, joint vaccination in bordering areas of Pakistan and Afghanistan started, and in April 2018, [officials] decided to expand the scope by synchronising immunisation campaigns in the whole of Pakistan and Afghanistan," Nadeem said. Now, monthly polio vaccination takes place at the same date and time in both countries so that the vaccine teams are likely to reach any family transiting on either side of the border. "The wild polio virus (R4B5C) found in Peshawar is the same being found in Jalalabad city of Nangarhar Province, and it is travelling," Dr. Wazir Akbar of the National Stop Transmission of Polio (N-STOP) programme told Pakistan Forward. Genetic sequencing shows a similarity between the viruses in Pakistan and Afghanistan and an increased risk of transfer of the virus through population movement, he said. To address these concerns, polio teams from both countries and international specialists met last March in the United Arab Emirates (UAE), where they decided to launch joint and synchronised efforts to stop the spread of the virus and its recurrence through unvaccinated children, Akbar said. Health officials from Pakistan and Afghanistan regularly confer by video to chalk out vaccination plans, he said. About 11 concurrent vaccination campaigns take place in both countries per calendar year. Vaccination does not take place during Ramadan because of fasting. Transit Vaccination Teams from both countries also meet at permanent transit points at the Torkham, Kharlachi, Ghulam Khan and Chaman border crossings and share data about child vaccination and registration, he said. 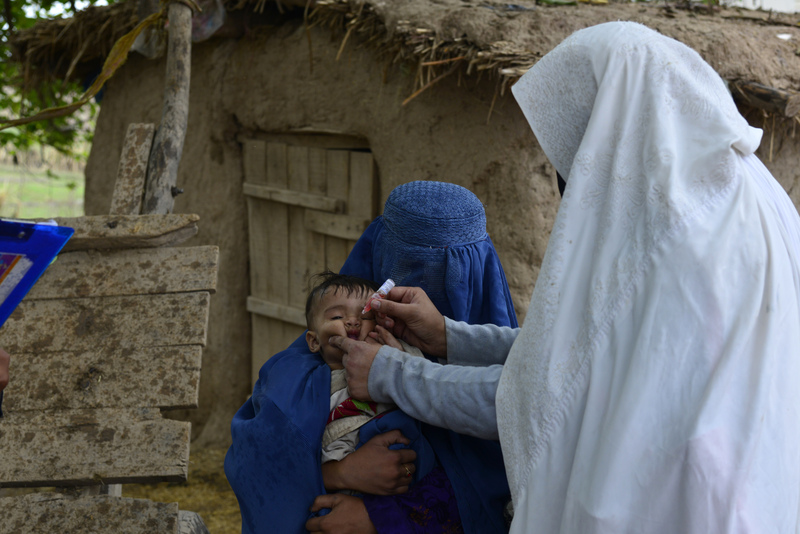 "Pakistan's co-ordination with Afghanistan to vaccinate children and surveillance efforts are at their best, but this tempo must be sustained," said Fredrick Were, a University of Nairobi professor sent to Pakistan by the Independent Monitoring Board, a body formed by the WHO's Global Polio Eradication Initiative. Were visited Peshawar and Khyber District in July to monitor vaccination at the border and also observed a joint meeting between polio teams from Pakistan and Afghanistan, according to a July 7 EOC Tribal Districts statement. At the border crossings, medics record every child receiving polio vaccine on the Pakistani side by taking the child's thumbprint. On the Afghan side, medics take a vaccinated child's index fingerprint. Later, they share the data to ensure that they have inoculated every child crossing the border. "Joint efforts have helped make phenomenal gains in polio eradication," said Dr. Imtiaz Ali Shah, technical focal person for the polio eradication in Khyber Pakhtunkhwa (KP). "In Pakistan, only three cases of polio were reported in 2018 and all were in ... Duki District of Balochistan Province," told Pakistan Forward. In 2014, there were 306 polio cases recorded in Pakistan, he said. That dropped to 35 in 2015, 20 in 2016, eight in 2017 and three so far in 2018. Doctors have reported no polio cases in KP or the former FATA in 2018 so far, which is another welcome sign, he added. "Pakistan is on the edge of polio eradication, while Afghanistan is also showing improvement with eight cases of polio recorded in 2018 through June," Shah said. "Keeping in view the security situation in Afghanistan and problems immunisation teams face in accessing all children, a single-digit total of polio cases is a good sign." The occurrence of polio in only one small area of one district "reflects that polio has been confined in Pakistan and a last push is required to eradicate the menace from the country", he said. However, without the eradication of polio from the region, the risk of re-emergence always lingers, he said. Therefore, it will require joint efforts to banish the disease from the two countries. 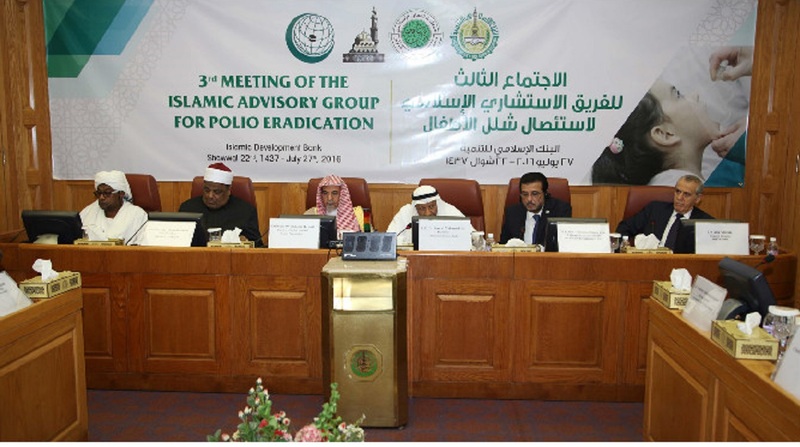 The Islamic Advisory Group for Polio Eradication urges parents to defy the Taliban’s propaganda and vaccinate their children. Militants hamper global efforts to protect children against polio, authorities say. 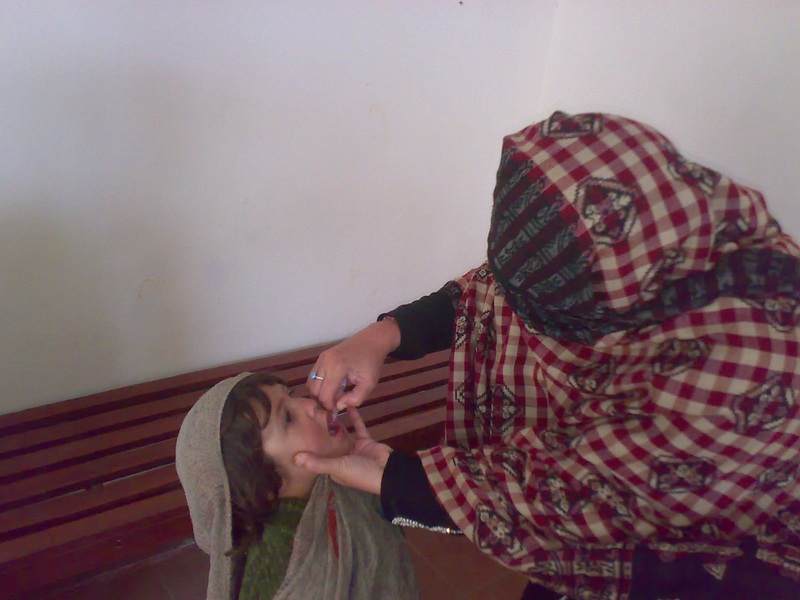 On-going military operations and the diligence of vaccination teams have resulted in no new polio cases in the Federally Administered Tribal Areas (FATA) since July 27, 2016.